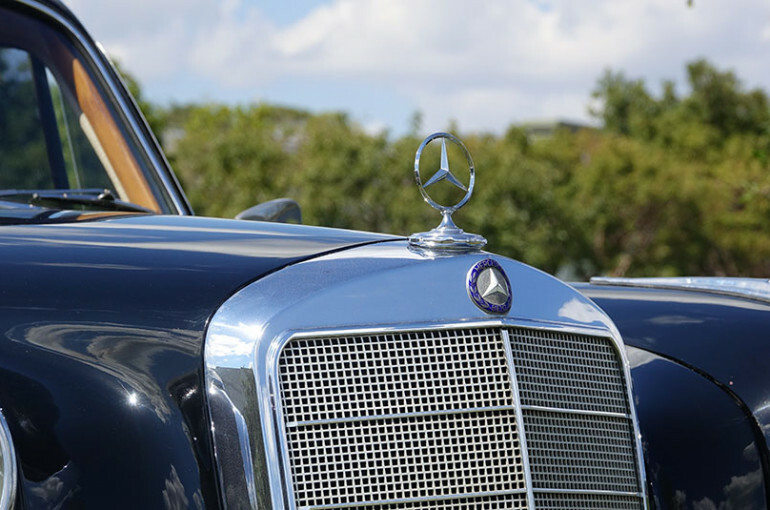 60 year old Mercedes Benz that looks and drives superb! 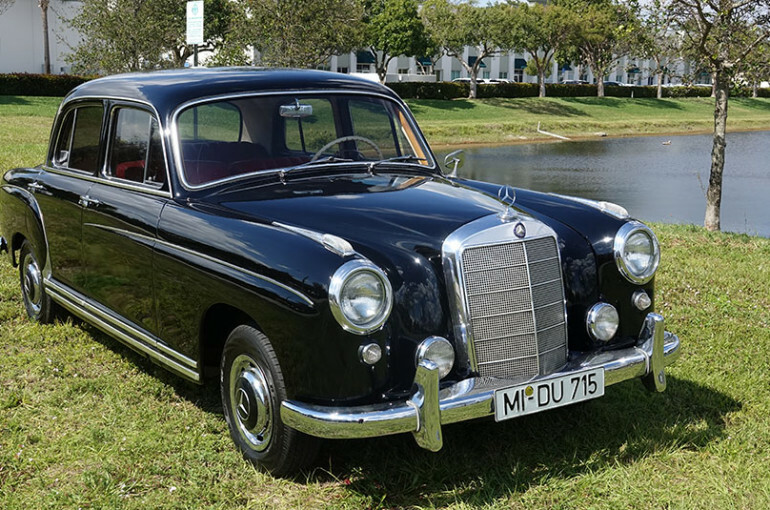 The 220 sedan was introduced at the first international West German automobile show in Frankfurt in April of 1951. It was a very popular model and proved to be a sales success over the next five years. 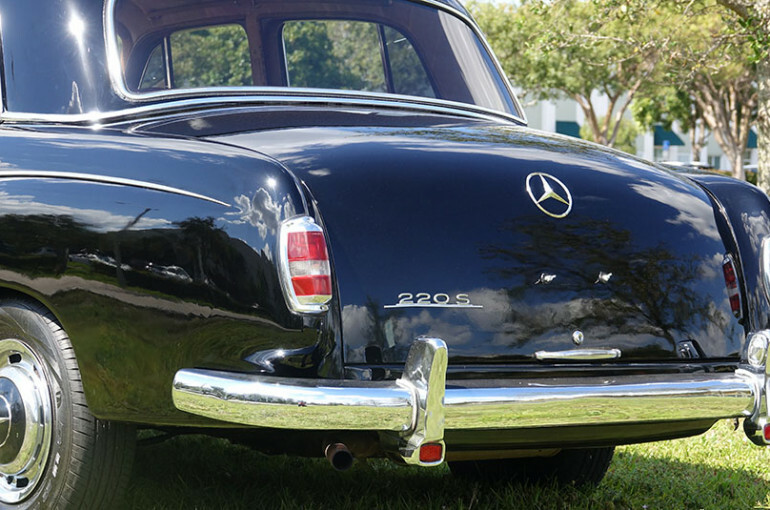 When the 220S was introduced at the same show in 1956, it featured a host of mechanical improvements as well as a larger, more elegant body. to be known as the ?pontoon? model, distinguished from its successor model by rounded rear fenders. The 6-cylinder engine of 2195 cc displacement featured a single overhead camshaft and two downdraft Solex carburetors. The transmission was a synchromesh 4-speed manual unit with a column shift. The fully independent suspension was by coil springs all around and featured the famous single-pivot swing axle at the rear. 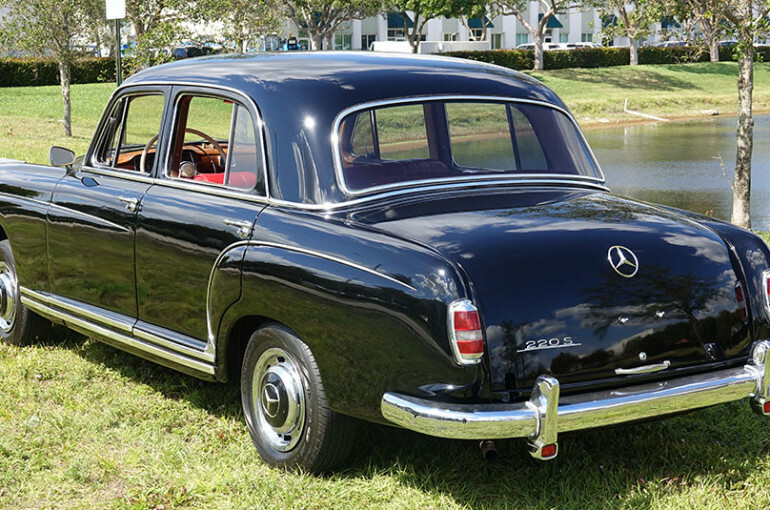 Overall, the new sedan was a much more refined edition of the models that preceded it. 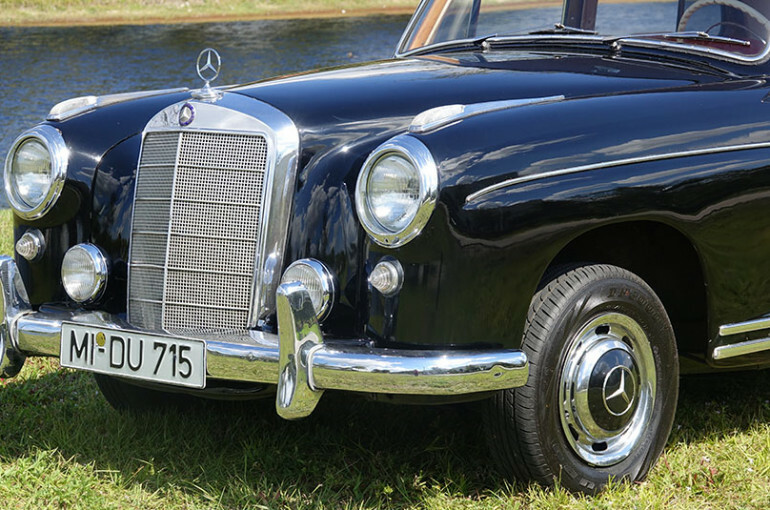 Additional offerings in the 220S model range included two limited production offerings, a handsome two-door four-passenger hard-top coupe and a correspondingly beautiful cabriolet. 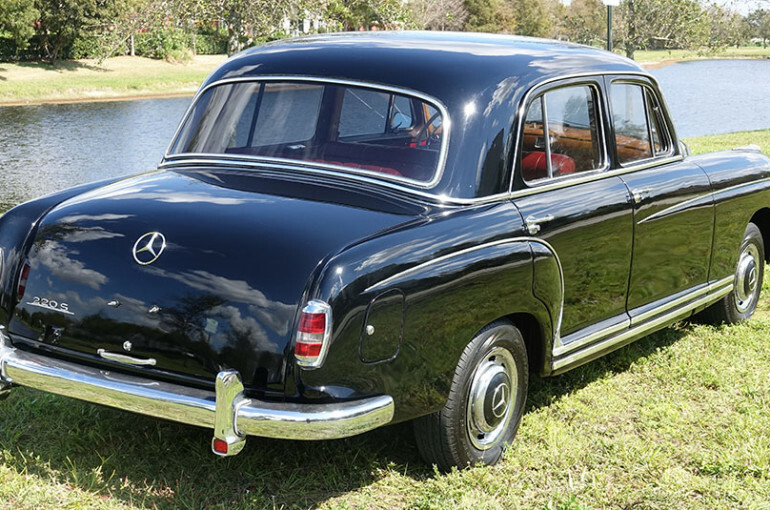 This Mercedes-Benz 220S Sedan was delivered to the United States in 1957 and is finished in the perfect black and red combination for this highly collectible model. 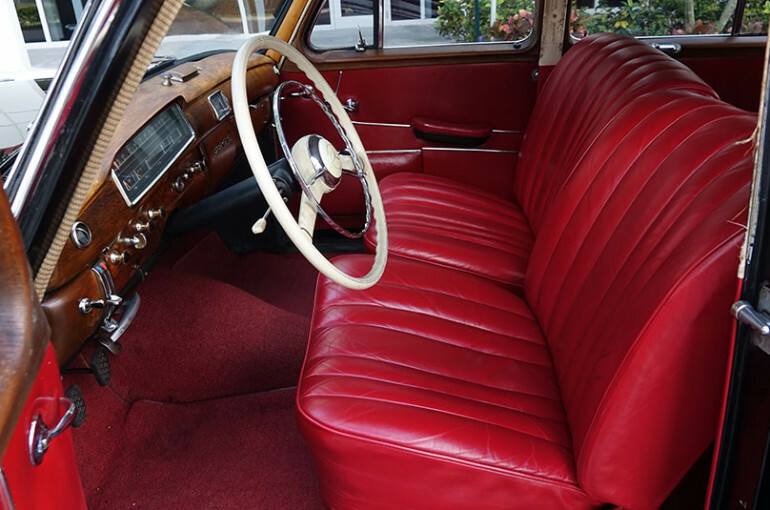 Although this automobile has never been restored, it has older paintwork and a very good original leather interior. The paint is still very shiny and looks great from far, but when you get up close you can see some waves and that it needs to be repainted. 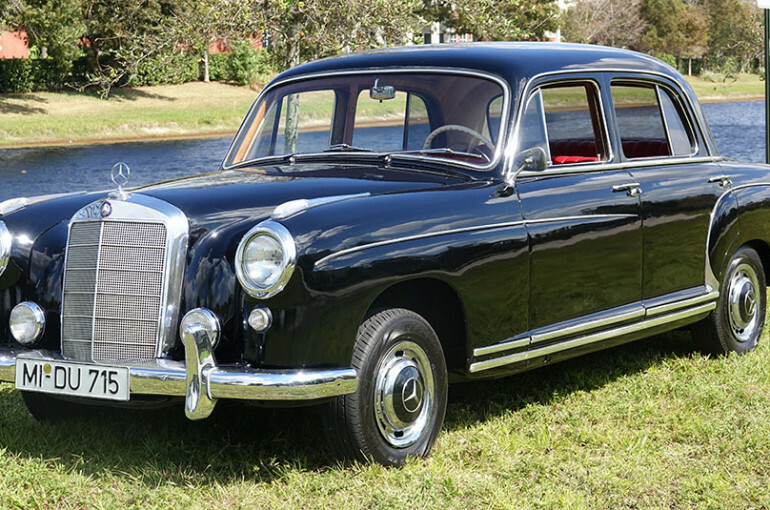 The condition of this 220S Sedan is a solid number 3 overall. The interior woodwork is in really good condition throughout. The previous owner of this 220S has had it for the past three years. Under his direction, the car has been mechanically recommissioned to very good running order by Ned Gallaher of Gallaher Restorations in Landrum, South Carolina. The fuel system has been cleaned, and the motor has been tuned. The result is that everything works. 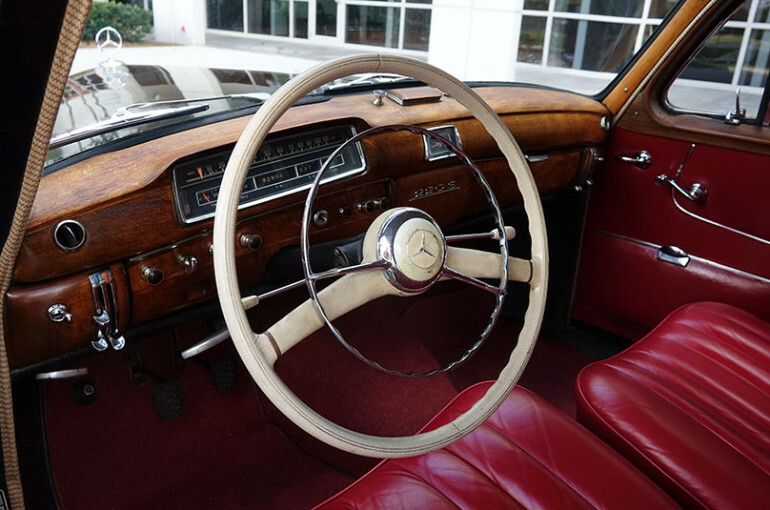 The four-speed manual transmission is operated with a column shifter, and this Mercedes-Benz 220S is an absolute joy to drive.